This is a quick and fun post for any of our football fans out there. As we have a few armchair pundits in the office here at Zopa and to coincide with the frantic football transfer deadline day which closed on Monday evening, we thought we would pick the best loan deals from this year’s transfer window. 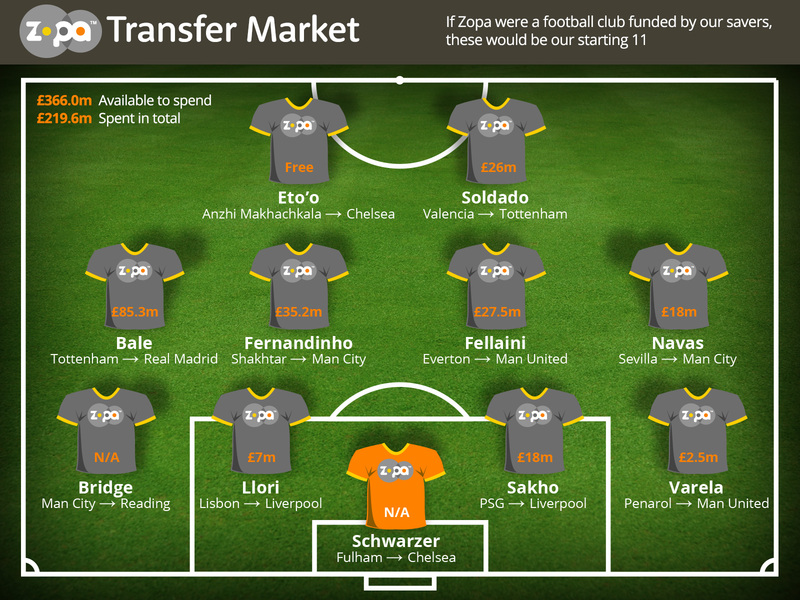 With hundreds of millions of pounds moving between clubs to buy players we also wanted to see which players our total lent figure of £366m would enable us to buy if Zopa were a football club funded by our savers. Let us know if you agree as we are sure that there a number of other players that you may think should have been included.